Who: ECYD Team Leaders with at least one year of experience as ECYD mentors. 16 years of age or older. It is a co-ed event. Where: Rome – Participants will be staying at the Pontifical College Maria Mater Ecclesiae (PCIMME) Largo Girolamo Minervini, 00165 ROMA RM. The boys and girls will sleep in different parts of the building. Cost: $725 (This cost includes 8 nights of room and board at PCIMME, the materials and costs of the Encounter. It DOES NOT include airfare, transportation to and from the airport, approximately 4 meals that will be outside of PCIMME, the cost of public transportation on outings. It is suggested to have at least 80 Euro to help cover the other costs in Rome) The registration fee must be paid in full by May 10, 2019 to secure your spot! Angelus with the Holy Father, following the Saints in Rome, pilgrimage to the Basilica of St. Agnes etc. 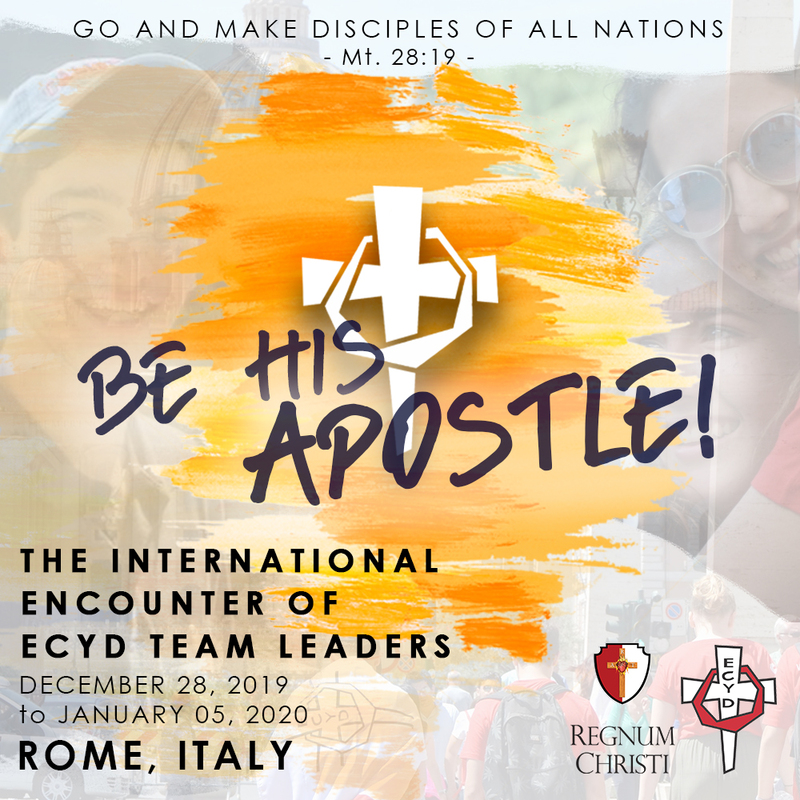 Monday, December 30: Visit Rome! Tuesday, December 31: 2nd Formative Block and Workshops, apostolic experience and New Year’s Even Celebration! STEP 2: COMPLETE THE ONLINE APPLICATION BELOW - Complete the online application forms, and allow approximately 1 week for your application to be reviewed. STEP 3: APPROVAL CONFIRMATION - You will receive an email notification if you are approved. STEP 4. COMPLETE PART II and pay REGISTRATION FEE - You will receive a link to go back into your account to complete legal documents, travel information and to pay the remaining balance for the registration fee. REGISTRATION FEE MUST BE PAID IN FULL BY MAY 10, 2019 OR YOUR SPOT MAY BE GIVEN AWAY!